I want to tell you a secret. One that has totally revolutionized my life with God. Can I have a minute of your time and see if it could do the same for you? About a couple months ago, I was at a weird place in my relationship with God, and I asked Him what to do. I wanted more out of our relationship, but I didn’t know what to do about it. And here’s the answer I felt He gave me: Go on walks. Go on walks? Are You serious? What is that going to do? Are You saying I’m out of shape? (Which I am.) In any event, I went, out of sheer obedience and curiosity—and I kind of like walking. Every day after work, I’d put on my walking shoes and head out the door, often tired and not feeling like it. And what do you know, but as I started to walk, I started to talk: to God—about my feelings, my fears, what happened yesterday at work, how I feel about my life…everything and anything that was on my heart. And do you want to know what’s more? As I began to walk—everyday, after work—I began to hear God talk back…or sometimes just feel Him listen and care. It was like I began to “date” God. And God, smart as He is, knew this would happen. He knew that it was quality time that we needed to grow in our relationship together. Have you ever seen a married couple that falls out of love? It’s not that they hate each other; they just lost that “thing.” But then, in a move of desperation, they move everything else to the side and begin to act how they did when they first fell in love. They date; they open up; they notice new, wonderful qualities in each other. They listen to every word with attention. They put each other first. Mainly, they spend time together. And this is EXACTLY what God wants to do…with you. He is just crazy about you. He wants to spend every waking moment with you: listening to your fears, talking about your dreams, laughing at funny things, and counseling you on the tough issues. Don’t believe me? Listen to Him here; He’s talking about you:”“But then I will win her back once again. I will lead her into the desert and speak tenderly to her there. I will return her vineyards to her and transform the Valley of Trouble into a gateway of hope. She will give herself to Me there, as she did long ago when she was young, when I freed her from her captivity in Egypt. When that day comes,’ says the Lord, “you will call Me ‘my husband’ instead of ‘my master'” (Hosea 2:14-16). No Matter How Old or New give yourself to Him again. When I started taking my daily walks with God, our daily dates, I started to hear Him and feel His love in a revolutionary way. I started to hear Him soothe my fears, give me advice, and care for me with deep loyalty. And the same will happen for you if you start spending time with Him. Why don’t you simply start with picking a time of day to take a daily date with God? It could be morning, noon, or night. You just tell Him, “God, I would like to go on that date You’re offering me. I’m a little surprised You’d want to spend so much time with me, but I’m honored. Let’s build this relationship.” Is that what you want to do? If so, why don’t you tell God what time of day you’d like to spend together, and then take that time to talk and get to know each other this week. I personally promise you that you will not regret it. God is crazy about you, and spending time together every day will revolutionize your life. 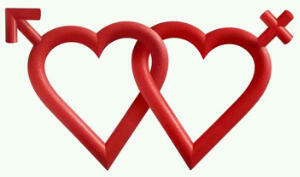 I love you and‎​ GOd loves you even more!